Kukuvaya | The Ego Co. The Summer Harvest Hunt started today and I’m sure by now you have all at least started the hunt right? Well even if you have I still have some cute things to show you. If you haven’t taken a look at list of stores or need to know the starting point you can check out The Ego Co.’s Website. The super cute mesh Patched Cords I am wearing are from evolve for the SHH. 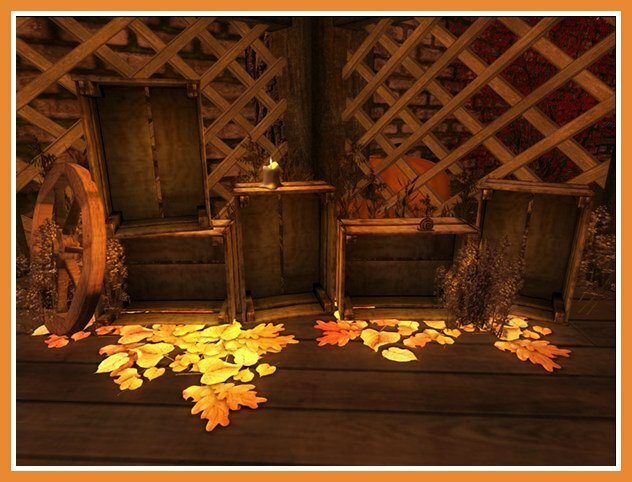 You can also pick them up in a few other really pretty colors at the mainstore just in time for Autumn. I paired them with the Kate Pumps from Elate, that are a very pretty Emerald green color! They actually match the cords really well and would also look amazing with a cute little dress! I love this cute and simple Aqueous necklace in Cat’s Eye. It’s just one of the cute hunt gifts you will find in the ellabella hunt box! I love how simple it is, and also how beautifully it would go with anything! The bag I have is another SHH item and is from *Tea Time*. It’s perfectly named Cute Tree Bag, because well it has a cute picture of a tree on it! You all know I am always wearing Synthetique‘s Mesh nails, so I was thrilled that one of the hunt gifts is the oh so stunning Gold Leaf Mini Collection. There are 3 nail colors, that come on a nifty HUD. You just wear the HUD with your nails (if you already had them) and turn it on to change the color! You’ll also notice I am wearing a new skin which is not part of the hunt but definitely needs to be mentioned. It’s new from Glam Affair called Lilith (the sister to Leah which I also love). It comes in 6 beautiful skin tones (frica, America, Artic, Europa, India and Jamaica) each with 12 make-ups and 3 brow shades (Blonde, Dark and Red). There is also a clean version of the skin as well as 6 extra tattoo layer lipsticks. This Demeter Pavilion which is the hunt gift from *Kukuvaya* which comes in two versions, one with lights and one without. It’s really perfect for entertaining and a must have for everyone for Autumn. 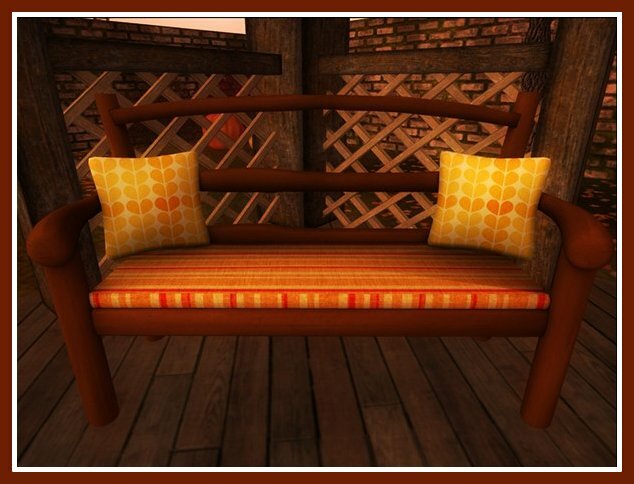 I am also loving this Crate Stack decor which happens to be Baffle!‘s amazing hunt item! It really looks good no matter where you put it, and you most definitely need this as well! Alright I’m totally done talking, for now. Have a lovely rest of your weekend and Happy Hunting! Skin: Glam Affair – Lilith – America 05 Red NEW!! 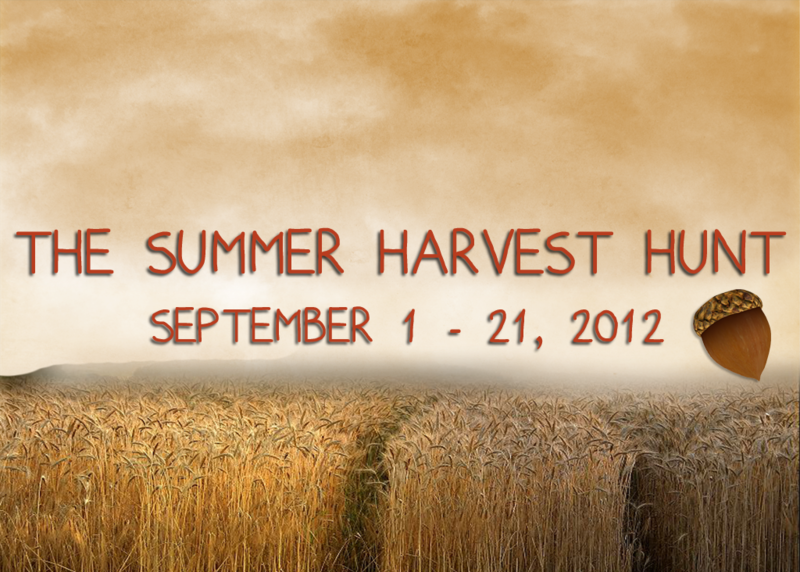 The Summer Harvest Hunt (<- click for details) starts today! Yesterday, I showed you the great item from BENT, and today I want to show you a few more items! The top of this dress is system layer clothing, but the skirt is mesh. I think that’s a great thing for people who aren’t fully sold on mesh or have bodies that won’t fit mesh the way it’s being made right now. I really like this necklace, too. It’s very delicate and sweet. This pavilion is even a hunt gift! There are two versions- one with these cute hanging lanterns and one without. Stay tuned for more previews, or visit The Ego Co. Blog to see what other bloggers are saying! Well summer is slowly coming to an end and Ego Co is having a hunt to send it on its way. Though most will miss it, I personally love the fall that is coming up. 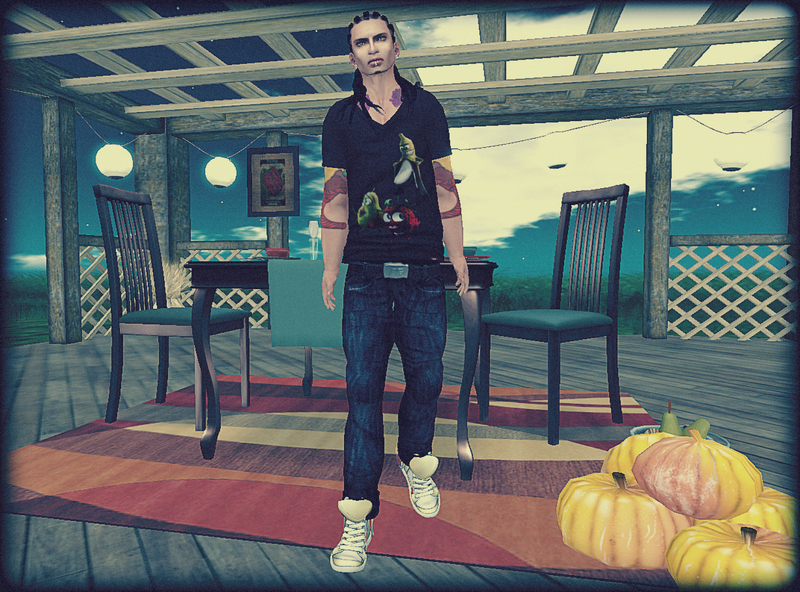 I love sweaters and warm clothing, the bright colors and falling leaves…on that Halloween is here….CANDY! So see bright side to all this. But you get to go on a hunt that allows you to kick that off and see that you start off right. And lemme tell you this hunt is amazing. I managed to snag a few goodies to show off for you before the hunt starts…trust me its amazing…. 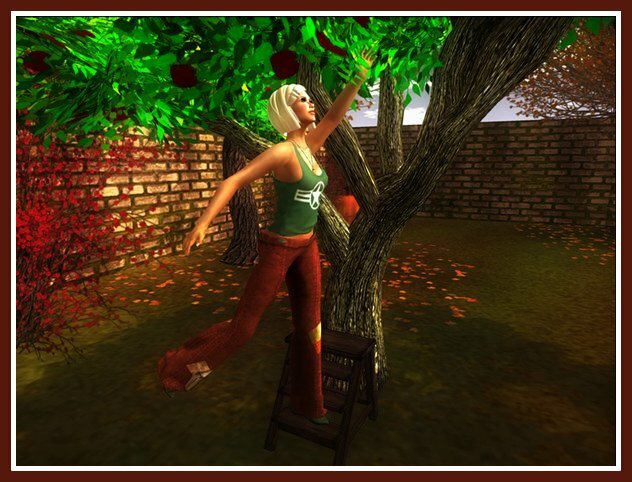 Summer Harvest Hunt Begins Sept 1! 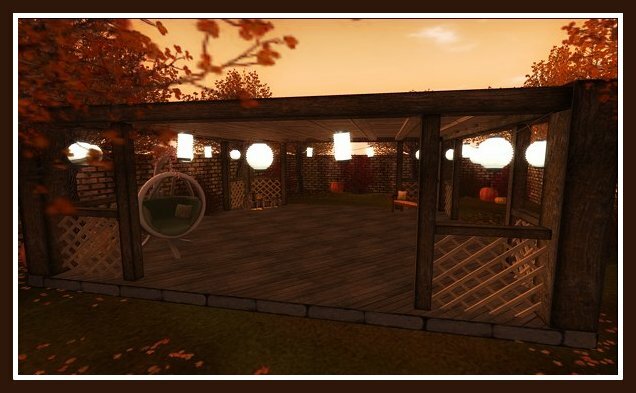 I love Autumn and the warm cozy feeling of the season…here’s a Summer Harvest Hunt preview of items that convey this wonderful time of year.